The first step in the planning process is deciding where to go. 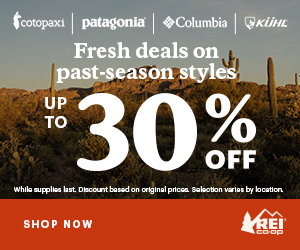 Of the many different route options, which route will you take? This map illustrates the 12 main waymarked routes, some of which are described in detail on my Route Reports page. 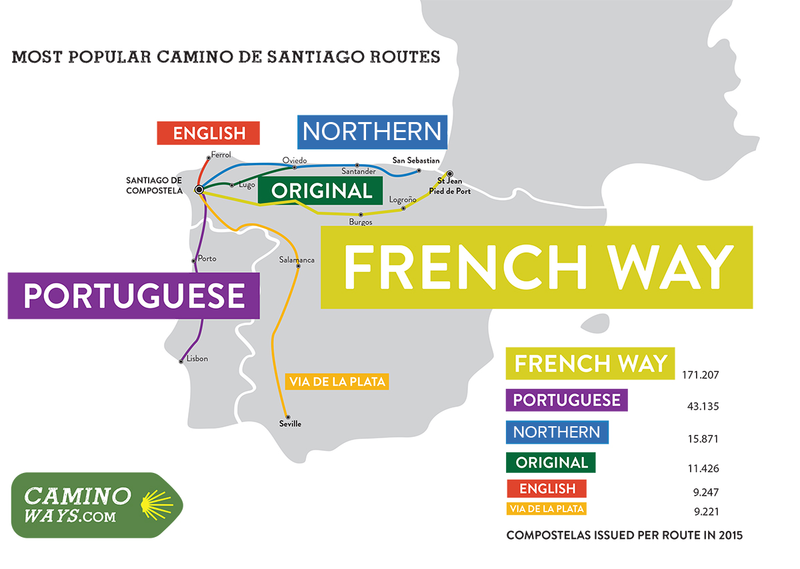 This map below shows the six most popular Camino routes according to the 2015 statistics from the Pilgrim Office in Santiago, Spain. The Camino del Norte, also known as the Coastal or Northern Route, originates in the Basque coastal town of Irún on the Spanish-French border. With a distance of 825 km (512 miles), the Camino del Norte has many ascents and descents as it crosses the rivers and rugged Spanish coast, making it slightly longer and more difficult than the Camino Francés. The Coastal Route passes through the lovely Basque resort town of Donostia or San Sebastián. Photo taken October 2014. Lodging for pilgrims is plentiful along the major routes, with sleeping accommodations of all types—pilgrim albergues or refugios operated by associations and governmental units and as private businesses, hostales, small hotels and several high-end hotels in the Spanish government’s Parador system. An albergue operates essentially like a youth hostel with basic overnight facilities. Most have dormitory-type sleeping arrangements, usually two-tiered bunks, and communal bathing and toilet facilities. According to American Pilgrims on the Camino (APOC), on the less popular routes, there are an increasing number of pilgrim-oriented facilities, some of which have sparse accommodations, like a sport hall or parish room with a spot on the floor and roof over your head. In addition, restaurants along the Camino routes have special discounts such as menú del peregrino or pilgrim’s menu. 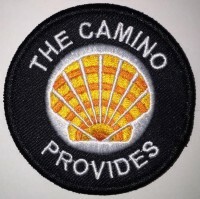 The style of the pilgrimage can range from inexpensive to luxurious, or a combination of both, depending on how you choose to customize your own Camino. There are many guidebooks, maps, mobile Apps and websites that will assist in planning prior to, and during your journey, as well as nationwide and local organizations that hold events for pilgrims to gather together. Peregrinos, how did you select your route? Up next, choose your route stage and time of year to walk your Camino – Part 3 of this series. 1. Camino del Norte. General Description. American Pilgrims on the Camino (APOC). 2. Camino del Norte. Terrain. American Pilgrims on the Camino (APOC). 3. Vía de la Plata (Sevilla). American Pilgrims on the Camino (APOC). 4. Via de la Plata – Silver Route. Walk the Camino. 5. Camino Francés. Accommodation. American Pilgrims on the Camino (APOC). You are missing the Caminho Português… Sorry, Big mistake!